Teaching your child to read at a young age can have wide-reaching effects on the rest of their development, which is why preschool reading programs are so beneficial. 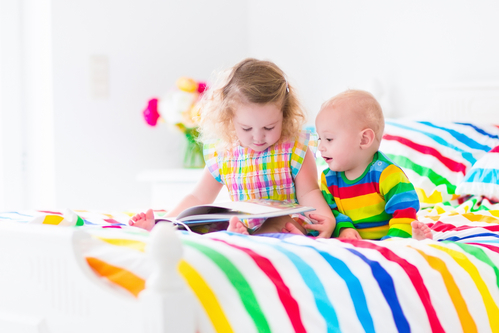 Getting little ones to focus on reading isn’t always easy, but there are a few tricks and tips that will help motivate them. Below are some effective and fun ways to get preschoolers excited about cracking open a book. Take some time every day to sit down with your child and read together. Pick up their favorite book and read along with them, or get them to assist in the kitchen by reading recipes. You can also have them help create the shopping list to keep them involved and engaged. Small children are extremely impressionable and often want to emulate their parents, so having them see you read will be highly motivating. Reading regularly also shows them you can do so for a variety of reasons, such as for relaxation, or more practical purposes to obtain information. Visiting the library with your toddler is a fun, interactive way to introduce them to the world of books. You’ll roam the shelves together, finding books they’re both excited to read and teaching them about the different genres. Many libraries also have preschool reading classes as part of their ongoing activities, so check the schedule to include story time in the next visit. If you’re having difficulty getting your child excited about reading, turn to the team at Reading in Preschool in New York, NY. For the past 15 years, they have helped hundreds of little ones find academic success. To schedule an appointment, give them a call today at (917) 723-1159. For more information on their preschool reading classes and curriculum, visit their website.